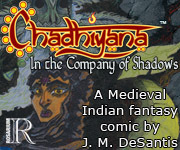 Despite many delays, the news updating readers on Chadhiyana and the series is nearly here. 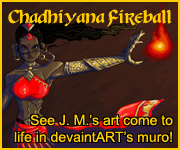 With the many projects I’ve been working on, plus a continued development on the Chadhiyana series, I keep editing and rewriting the update to reflect the most current information. But I’ve decided to release everything officially on 12 June 2018 (that’s next Tuesday). And of course, if anything new needs to be added, I can do that at a later date (as most certainly something will need be added). So if you’ve been stressing, patiently waiting for this continually delayed update, you can breathe easy. I’m going forward with it next week. So check back next week. Something will be here. I promise. Also remember, my Patreon supporters are getting a more in-depth, multi-post update. So if you would like to be a part of that, you can simply support my Patreon at just $1 per month (basic access, including the Patron-Only Feed) and read through the updates as they come. Cancel any time. I also promise, I won’t be upset if you join my Patreon for a month just to get the update. So there it is. See you next week. May the fire burn bright.